When you look at your patio, you may think that there is simply no way to make it look beautiful and aesthetically appealing because of its size. Yet, you would be mistaken. 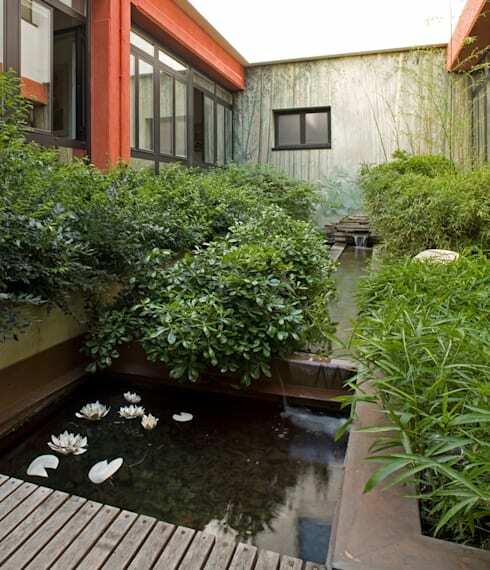 In fact with a little creativity and imagination you can really have a striking outdoor space. 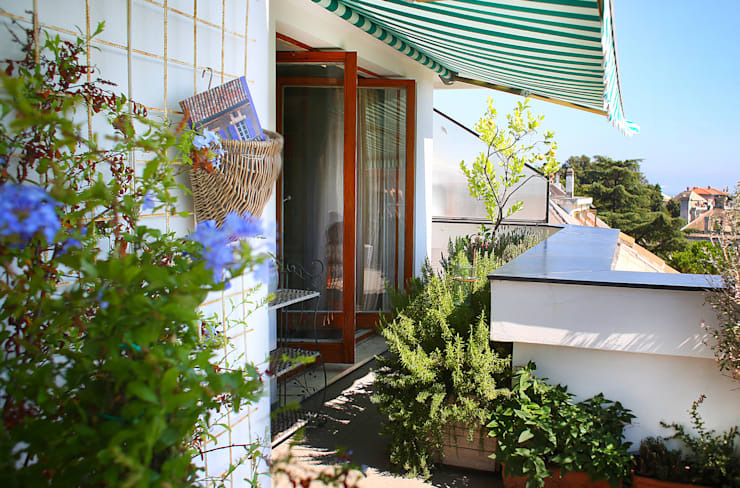 This is why today at homify we have put together 17 ideas that will surely enchant you and inspire you to revolutionise your small, elongated patio. You won't believe how many changes are possible! 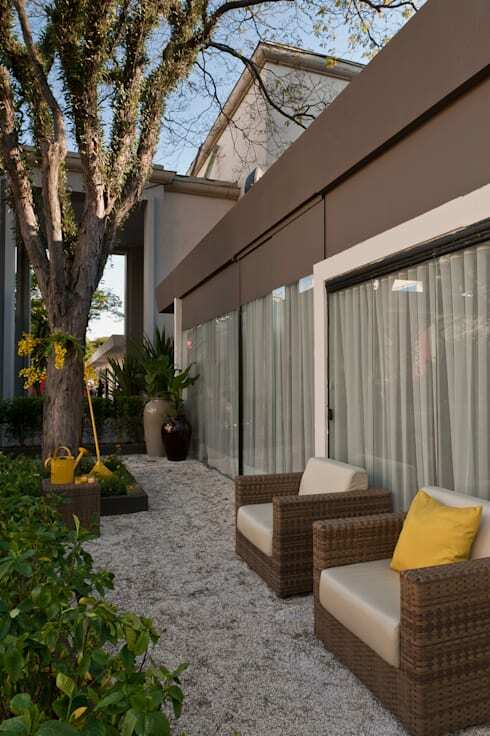 A great idea to take advantage of the small patio is to place the furniture and decor in a linear way, in order to leave space for movement. This makes for a very organised and orderly outdoor space. If the space is too small to place furniture, you can choose to create a tropical forest. 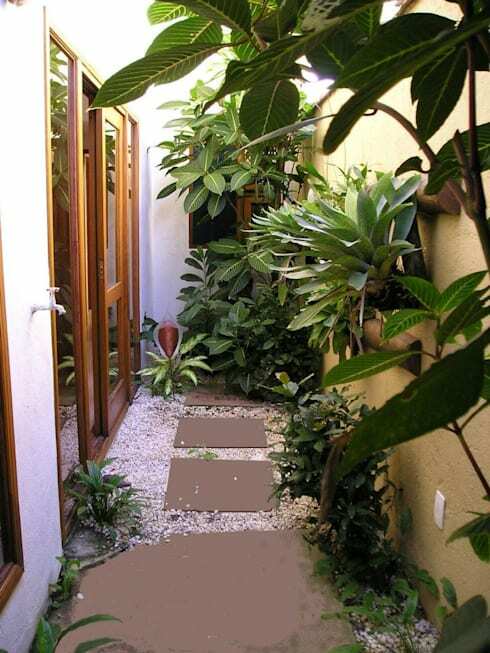 Plant some special palm trees and ferns that face the sun and create a path in the centre to take care of gardening. 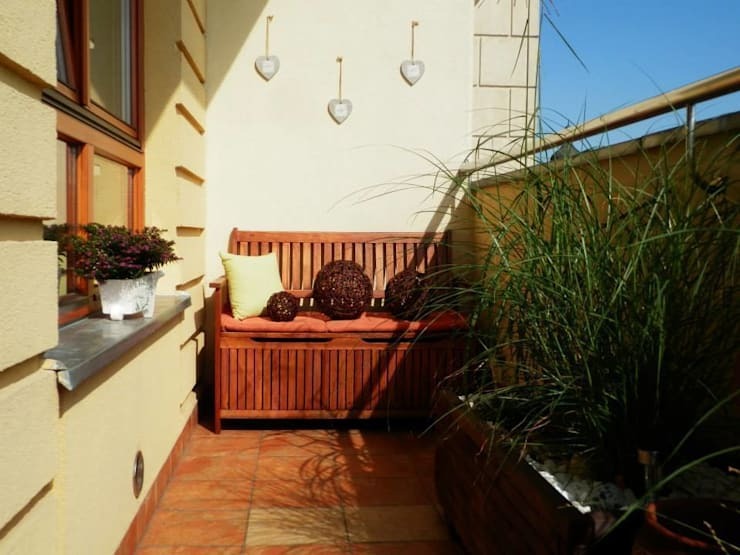 Take advantage of the intimacy that your small patio gives you, creating a personal space. Furnish with a pair of special comfortable outdoor chairs, creating a comfortable and cosy space. This is the perfect area for rest and relaxation. 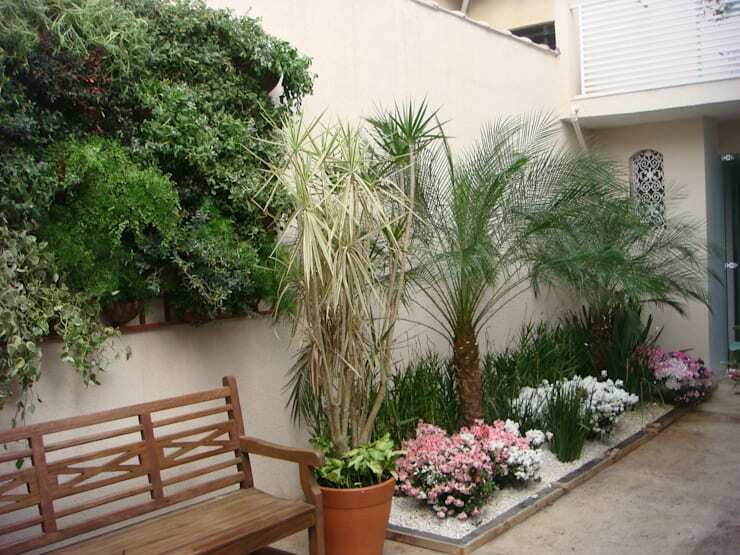 If your outdoor area gets a lot of traffic, decorate it with small pines on the one side, creating a little garden. These are easy to plant and fun to prune. Form figurines or create beautiful shapes. 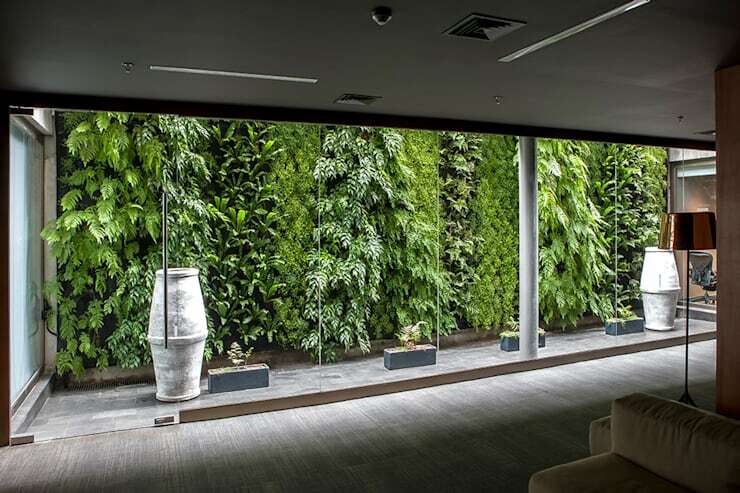 Take a vertical garden to a whole new level. 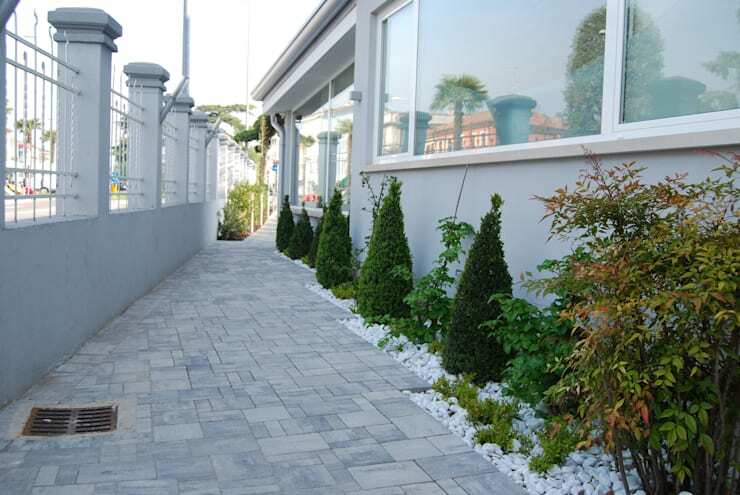 To give your patio a special touch, use white river pebbles to create contrast and introduce texture. You will feel instantly connected to nature every time you walk past them. 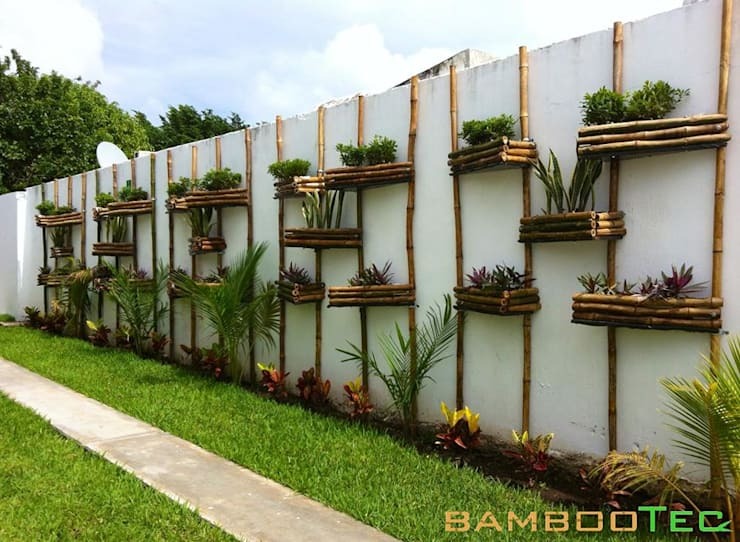 Take advantage of the height of your wall to make a vertical garden – this time without the bamboo planters. 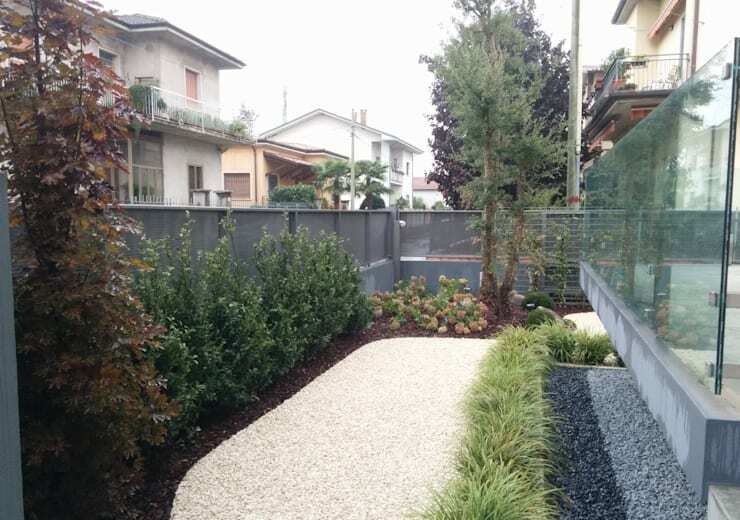 This way you can have as much space as the fence gives you to create your garden and at the same time have a wonderful view from the interior. 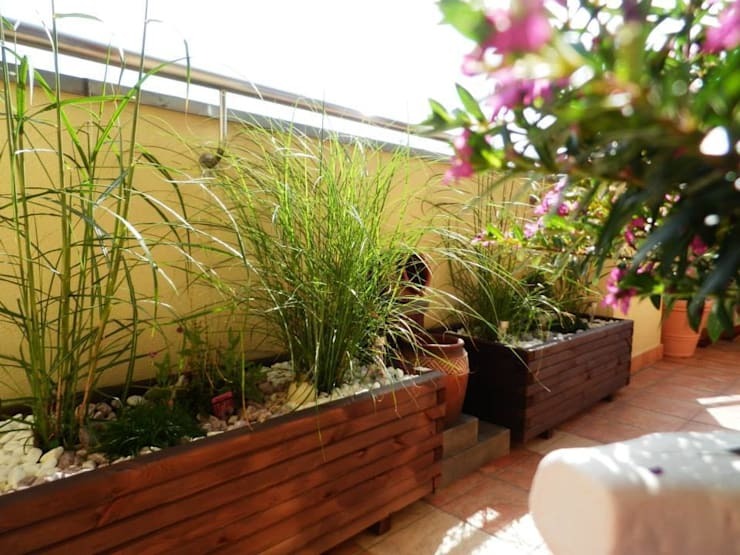 Give colour to your patio with a little vegetation, whether its plants or flowers. You can also add colourful pots to make your space feel full of charm. You won't even notice the size! Hanging racks or hanging pots are another way to take advantage of long, space-constrained spaces by bringing the decorative elements to a height that allows you to keep the floor free for movement. This will free up room for a functional and gorgeous bench for relaxing! 11. What do you think of wooden style planters? Planters are a simple form of decor and you don't need a lot of space to use them! 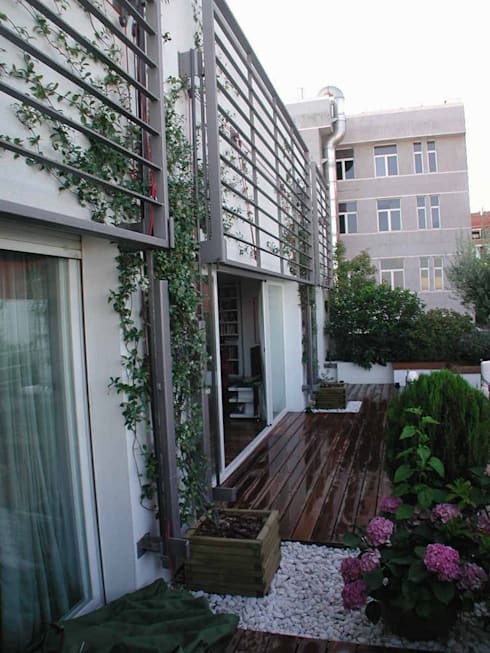 Keep vegetation in the rustic planters and ensure you don't obstruct the movement of the space. Sometimes the furniture we like exceeds the measurements of our patio.If it is the case, we recommend that you do not panic, you can always send to make customised beautiful furniture with an expert carpenter or interior designer. 13. Make your own greenhouse! 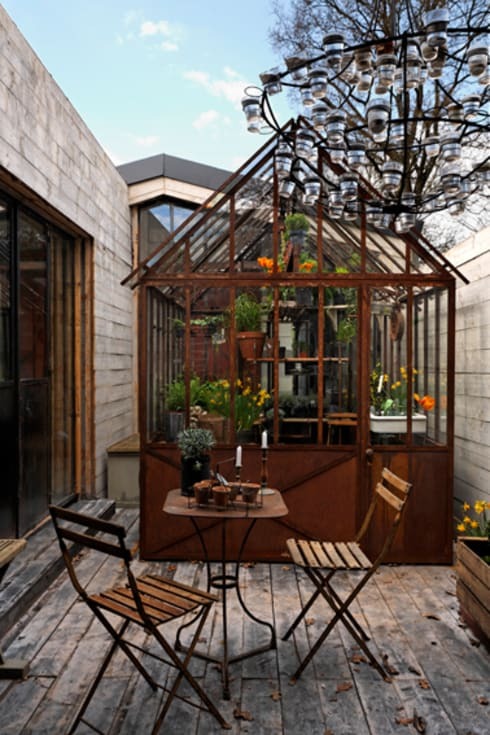 Take a unique perspective and turn your patio into a whole greenhouse. It doesn't require a lot of space and you can adapt it, using it for your favourite plant species. 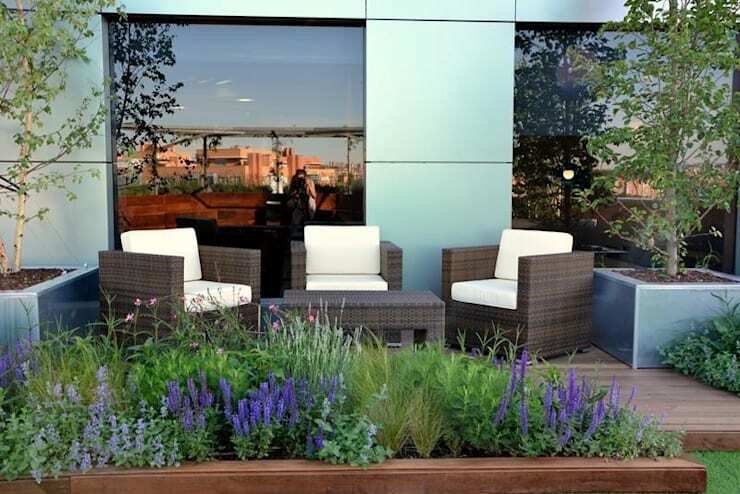 When you get tired of being cramped up indoors, why not relax in your beautiful garden on your patio? 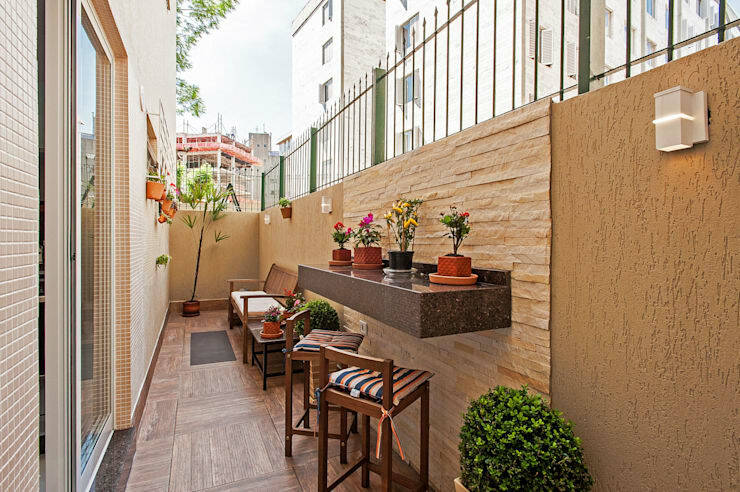 This is the perfect space to get fresh air, especially if you're surrounded by white stones and gorgeous shrubs. If you like fountains but do not see much potential in your yard, you can turn it into a wonderful fountain like this. 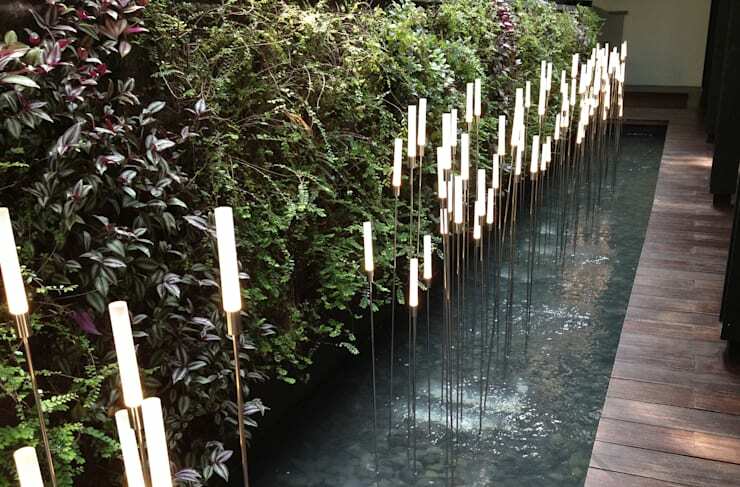 With a vertical garden and LED lighting in these modern lamps, your patio will go from zero to spectacular. 16. A wooden floor will always look fabulous! You don't just have to opt for vegetation. Use different sources of materials can introduce different textures, tones and shade. For example, change your flooring for a unique look and feel. Remember that a little bit of beautiful furniture can go a very long way, especially if they don't impact movement or flow. 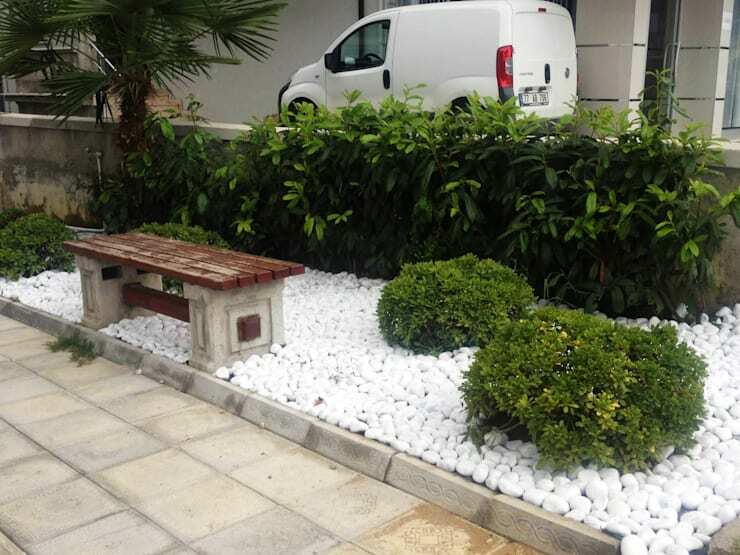 Also have a look at how to create a beautiful garden in a small space.